My children and I are in the middle of the best unit study for young kids ever. We’re studying frontiersmen (and frontierswomen? frontierspeople?). Seriously, what kids do not want to pretend they’re churning butter in the mud pit under the swing set? Or tying meat onto their horse after hunting (but the horse is actually a mop and the meat is actually your sister’s pink cupcake purse…)? It has been an amusing for me to watch them play after doing this study, at any rate! Without further ado, here are our favorite books this week! 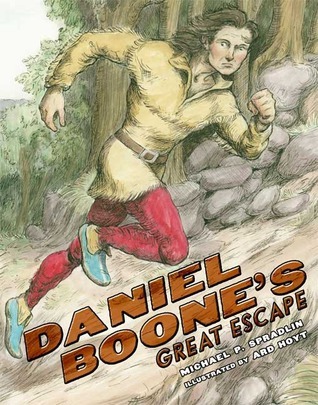 Daniel Boone’s Great Escape by Michael P. Spradlin is currently Isaac’s very favorite book. It’s just a snippet of what Daniel Boone did in his life, but it works well for young children because it’s an exciting adventure through and through. In the later part of Daniel Boone’s life, after he’s founded Boonsborough and even become a grandfather, he was captured by Shawnee warriors. His escape is pretty amazing! This book definitely falls in the Heroes For Boys category that I’m always seeking out on our library trips. 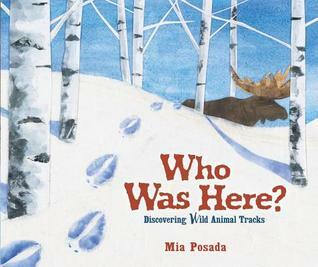 We’ve also enjoyed Who Was Here: Discovering Wild Animal Tracks as we talk about tracking animals. One page has a clue about the animal and a picture of its print, and the next page has the answer. It’s a good combination of learning about the animals’ tracks, their habitats, and some interesting facts about them. We read Tracks in the Snow as another track-themed book, but it was definitely more for the 2-3-year-old age group than for a 4-year-old or 6-year-old. It was very cute and Violet loved it, though the concept of snow was totally lost on her. I’m thankful we get to investigate tracks for fun instead of for food, but I also think it’s good for our modern-day children to know how much hard work frontiersmen went through. 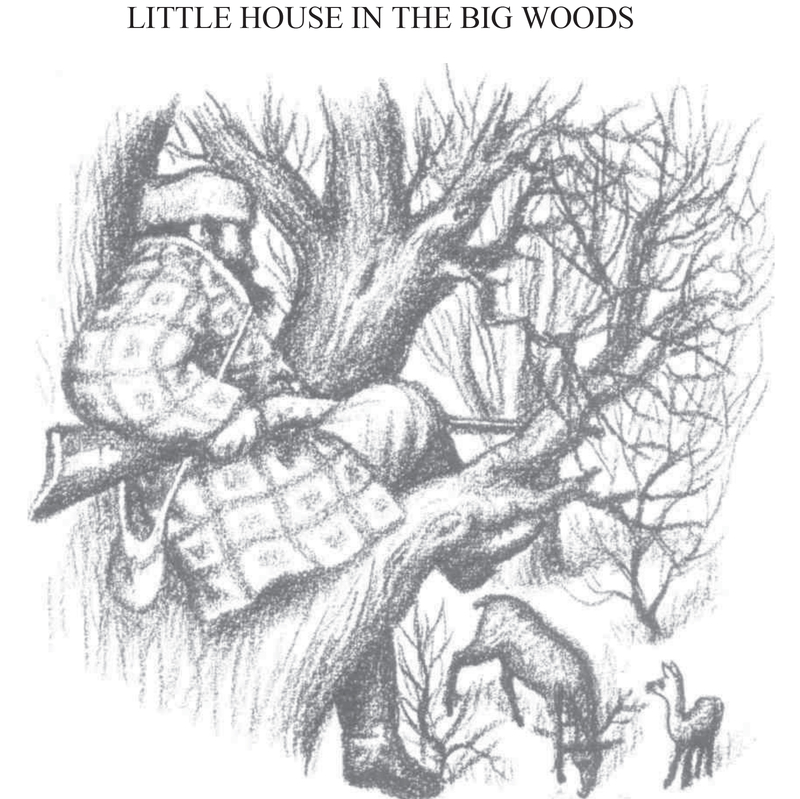 So of course, I chose Little House in the Big Woods as our read aloud for this month. Last time we read it, Ella was only four. She doesn’t remember much of it, and it’s all new to Isaac this time around. Does homeschooling mean I get to read the Little House books to my children every two years? Sold! =) I feel like I need to reread these books for my own perspective on how much easier my life is than Caroline Wilder’s was. And if you want to put Christmas gifts into perspective for your kids, read them just the Christmas chapters from Little House in the Big Woods or Little House on the Prairie. Wow. Besides the perspective, these are simply some of the best books ever. And the great part is I hardly remember On The Shores of Silver Lake! Can’t wait ’til we get to that one. So that’s what’s in our reading basket this week. What have you and your kids been reading? I love the _Little House_ books! Be advised, though: _On the Shores of Silver Lake_ is our least favorite because some sad things happen at the beginning. The bookshelf better again after that one (in my opinion).